Do you want to see a great revival with people coming to Jesus? Yes, I Want A God Revolution! "We need a revolution ... A God Revolution!" nation. Australia For Jesus is a movement of Christians who desire to see the Gospel of Jesus Christ go out to all spheres of influence in our nation. 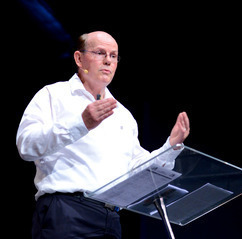 Tony has been led by the Lord to dedicate the next five years to work with local churches and raise up 10,000 soul winners across Australia and New Zealand, to support a great harvest of souls in this critical time. "In the last days, God says, I will pour out my Spirit on all people"